A lifelong resident of Poughkeepsie, Elaine has been practicing dental hygiene for over twenty years, the last eighteen within the practice. Elaine is a graduate of the dental hygiene program at Orange County Community College. 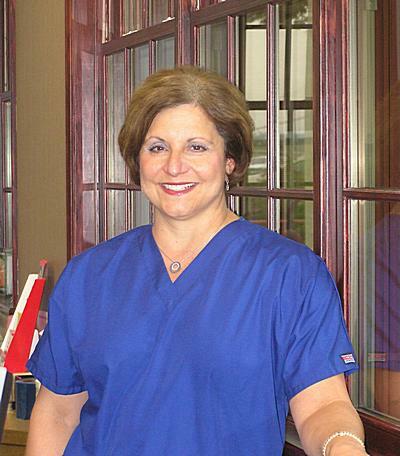 In May 2006 she was recognized for the outstanding treatment she provides to her patients as one of six hygienists nationwide to win the Healthy Gums and Healthy Life Award from the Butler Corporation. Along with Dr. Bhalla, Elaine shares an enthusiasm for continuing education, as evidenced by her recent certification to administer local anesthetic enabling her to provide an increased level of comfort. Elaine's gentle touch and caring approach make her patients' hygiene visits truly enjoyable. To schedule an appointment, contact our Poughkeepsie general dental practice today!